I’ve put this off for years, but it just seemed time. Briskly: new font release is a font made from one sample of my handwriting. An ASCII font (256-character), it will work well for desktop, Web, and ePUB. The only place you will be able to buy it with included ebook licenses is here on this Website. 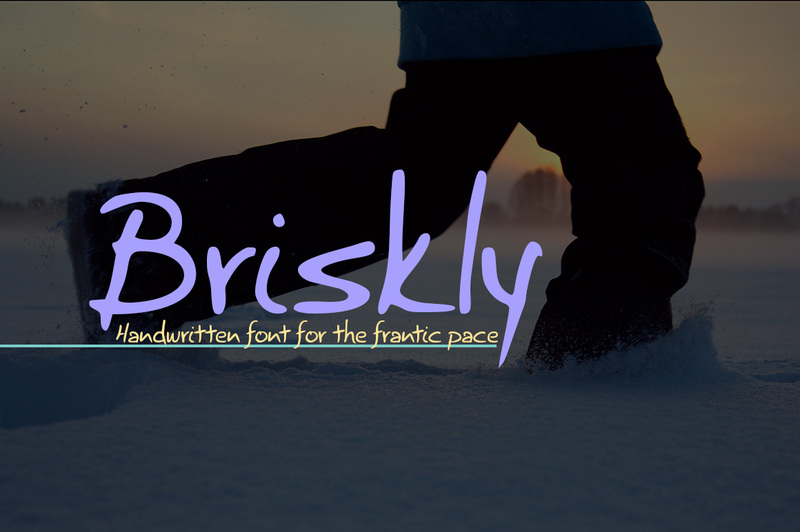 Briskly: new font release is here! There are some interesting aspects to this font. First, some of the characters have a unique slant because of my sinister character [I’m left-handed]. Because these fonts are all the rage now, I wanting my own—silly me. I added some nice bullets in several of the ASCII character slots. For some reason, I get a real kick out of using a heifer for the mu glyph. It is all part of my on-going search for production fonts usable in excellent ePUBs—with all the HTML/CSS limitations there. Since I can’t really find any, I need to make them myself. Of course, I’m not going to promise that they’ll work in the much more compromised KFX format Amazon is using for its Enhanced Typography. If you looked at my new book, you’ll see that we are forced to use default paragraph settings, HTML lists, and no tables. With Kindle’s Enhanced Typography, it’s Bookerly only—as best we can tell from what they are publishing as guidelines on the KDP site. I’ve already written about Aaron Shepherd’s article about Amazon reformatting our Kindle reflow books after they are upload with no way for us to even proof them ourselves [unless we pay for our own copy of the book]. So, for lists, we are stuck with the HTML circle, disk, or square—no special bullets allowed. Tables can only be 64 characters wide. The list goes on and on. But that has little to do with my new font. Here’s the link for the font with licenses included. I open this with great interest, as I look for a simple hand drawn type to use for my books. I illustrated and hand lettered my 1st book to great success and I played with the idea of creating my own typeface for the sequels. But I fear getting bogged down with something I’ve never done before. I have a feeling Briskly maybe a bit too casual, but would love your opinion. Would you like a copy of my very successful 1st book, “Hope for the Flowers”? I would be happy to send it to you. It is available in most bookstores and is celebrating its 45th anniversary in 2017 With editions in many countries, the Caterpillar heroes continue to crawl and help transform many as they finally transform themselves in the story (or more accurately allowed themselves to be transformed). You can also see many pages and illustrations on Amazon’s “look inside”. Please send me your snail mail address if you want the book. The next sequels will be close to the same style and size as the one I would send you. thanks for being a skilled workman, like those of old who built cathedrals for the glory of God! Created in the pre-digital age, I did all the color separations of all the images by hand. The digital version is just made in 2012, and the e-book came out for the iPad, Kindle, kobo and 2014. We needed to use “fixed format”..
I’ve been struggling with indesign and Photoshop for some years and am still functioning on OS 10.6.8, Snow Leopard, hanging on to this level so as not to lose the value of my “owned!” CS 5. Thank you and blessings! I’d love to look at your book. As for the style of Briskly, I can’t enter into your head enough to know your style. No one can do that. It is loose, but also structured with defined cap height, x-height, baseline, and so on. So it may be less loose than you think.